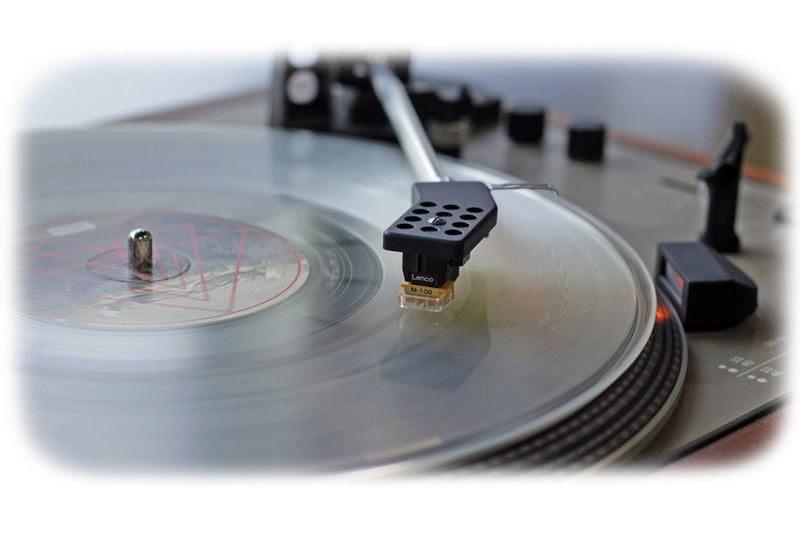 Pure analogue class-A tube sound getting a smooth and pleasant response for long listening sessions, with Phono MM input to connect your turntable and enjoy your vinyl collection. We have designed a linear and crystal clear preamplifier using the E88CC tube paired with a tube power stage with EL34B in Single Ended Ultralineal configuration, we get sensations that impress. Enough power to move speakers of moderate sensitivity. You can raise the volume control above 50% to start enjoying pure amplification with great bass and detailed sound. The vinyl has returned to stay, but let’s not forget that its great era was in the 70s, in this decade commercial audio equipment was made with the highest quality. 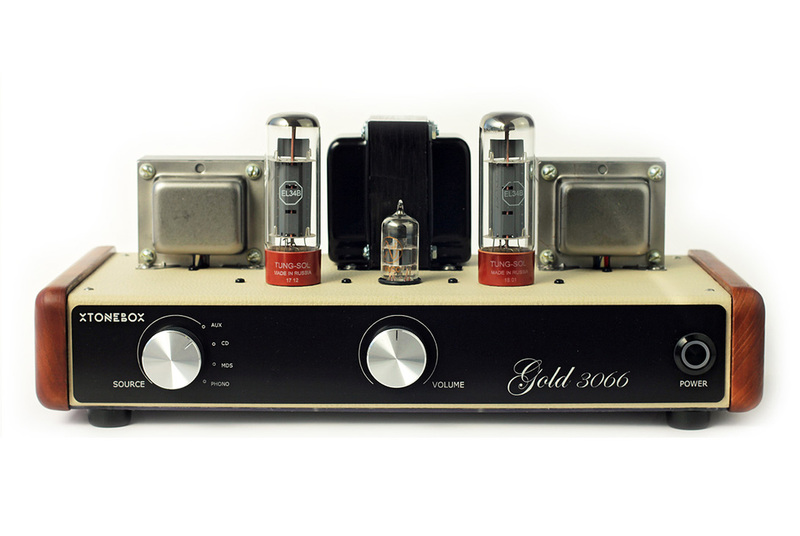 The Gold 3066 integrates a phono circuit with a warm sound and great dynamics based on the best Japanese transistor circuits from the 70s. 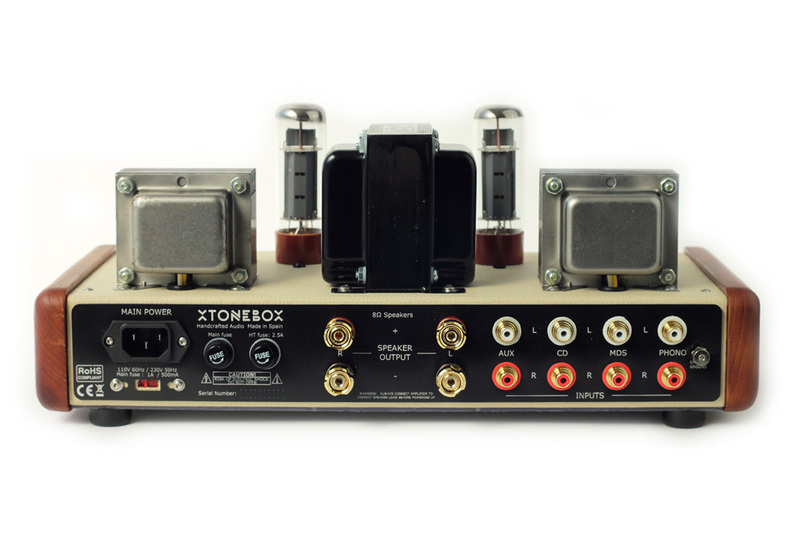 Playing your records through this preamp you will notice that the choice of record, master, edition, capsule or needle type, does matter. Transformers and audio tubes in sight, tolex wrapping by hand with solid wood sides, everything reminds us the good old days, but it’s manufactured today in Galicia, Europe. In house high quality components matching delivers a proper stereo spacing, so you only have to worry about turning up the volume and listening to all your music. 30W Single Ended Ultralineal Class-A. Frequency response: 20 Hz-20 kHz +/-0.5 dB. 70s based transistor phono preamp for MM cartridges. Input selector and volume control. Inputs: CD, AUX1, AUX2 y PHONO. Dimensions (H x W x D): 400 x 270 x 330 (mm). Weight: 10 kg / 22lbs.